1 What is the Veil G5 Anti-Laser Stealth Coating? 2 What is Veil G5.6? 3 How do I apply Veil G5 to my vehicle? 4 What does Veil G5.6 look like on my vehicle? 5 What is police laser (LIDAR) and how can Veil G5.6 reduce its effectiveness? 6 What are ALPR/ANPR systems and how does Veil help protect my privacy? 7 What are “intelligent traffic violation systems” and how can Veil enhance my privacy? 8 What is “force multiplier” law enforcement and how can Veil protect my civil liberties? 9 Should I use VEIL stealth coating with a radar detector/laser detector? 10 What is scanning LIDAR, and why do I need Veil for protection from it? 11 Does Veil work on motorcycles? 12 Do I need Veil if I already own a laser jammer? 13 How does Veil improve laser jamming performance? 14 What are variable and random pulse-rate police laser (LIDAR)? 15 Can Veil really outperform laser jammers? 16 How does Veil Protect against headlight UV damage and oxidation damage? 17 Does VEIL defeat traffic radar? Veil is a clear liquid acrylic which dries into a hardy, but easily removable, weather resistant film. It is designed to absorb infrared light used by police laser traffic enforcement, making it more difficult for your speed to be measured. Veil is easily applied to the most reflective surfaces of your motor vehicle — the headlights, fog lights, and license plates. There is enough material provided to treat on average three to four vehicles bringing the total cost of ownership to around $25-30 for each vehicle. Our engineers are constantly looking for ways to improve Veil’s performance. To this end, we’ve recently released Veil G5.6, our best version to date. Veil G5.6 has been reformulated to provide better performance against the latest police laser guns. Veil G5.6 is lighter in appearance than previous versions of Veil and is specifically designed to provide the best performance with two coats. Our own internal testing has demonstrated a further reduction in targeting range of headlights by as much as 50% over Veil G5. 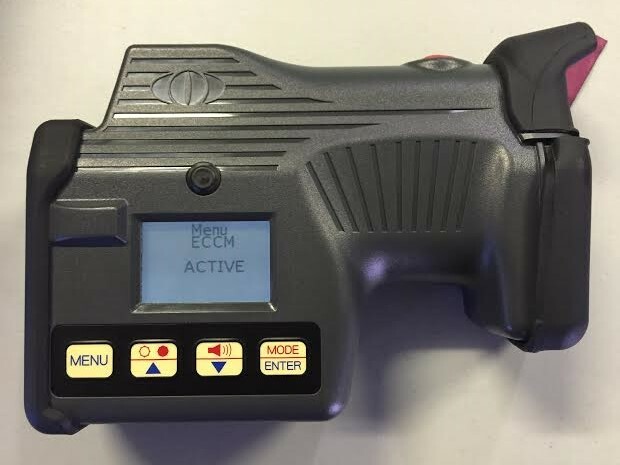 When pitted against real police laser traffic enforcement Veil G5.6 has proven to provide even more reaction time in a greater number of traffic encounters. Veil G5 is a water-borne transparent acrylic latex polymer coating that is applied with a foam brush (included). VEIL is easily applied to the most reflective surfaces of your automotive vehicle including its headlights, fog lights, brake lights, directional indicators, and number plate areas. A single application is sufficient to effectively cover these areas. Note: Veil G5 can now safely be applied directly to your license/number plate however, we recommend applying Veil to a clear license plate cover as blocking performance tends to improve while being more discreet in appearance. Veil can be thinned with water to allow lighter coatings to be applied either with the brushes provided or with an airbrush. Two light coats tend to perform better than one heavier coat. We’ve experimented and have found that coating the front and the back of a clear plate cover or applying a light coat directly to the plate coupled with a light coating on a plate cover provides potentially better blocking efficiency while being less noticeable to the naked eye. What does Veil G5.6 look like on my vehicle? The coating is transparent and appears a neutral light grey in color. While we are always evolving Veil to be lighter and less noticeable with each subsequent version, currently G5 is not colorless. Care must be utilized to not over apply it. More is not necessarily better. When properly applied, Veil G5.6 should not be that noticeable on the headlight to an untrained eye, even with two coats. What is police laser (LIDAR) and how can Veil G5.6 reduce its effectiveness? A police laser (i.e., police lidar) emits a highly focused beam of invisible light, in the near infrared region of light, that is centered at a wavelength of 904nm and is only approximately 22 inches (56cm) in diameter at 1000 feet (300m). As compared to RADAR—which directly determines a vehicle’s speed by measuring its doppler shift—police laser calculates speed by observing the changing amount of time is takes to “see” reflected pulses of light over a discreet amount of time. Veil is a stealth technology which works by absorbing those light pulses (much the same way sunglasses work) which makes it harder on the guns to see their reflected pulses. The most reflective parts of an automobile or motorcycle are its headlights and license plates. By treating them with Veil G5, the remaining and less reflective parts that are not treated don’t give the guns the amount of reflection they require at given distances to obtain a speed reading. Veil is intended to afford the motorist some additional time in many cases to safely slow down while being targeted to safely avoid a potential speed ticket. 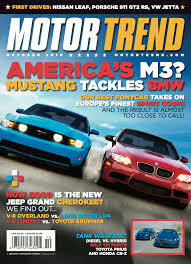 Being a stealth product that is effective at absorption on the parts of the vehicle that are treated, the amount of additional reaction time provided will vary (as is the case with all countermeasures) accordingly based upon a variety of factors including the vehicle type, color, velocity, type of police lidar gun, skill of the targeting officer, and initial targeting distance. You can see what’s it like to drive with Veil protection by watching Veil user videos. What is IR photo enforcement and how can Veil G5.6 defend against it? New forms of automated photo enforcement—including red light cameras, speed cameras, automatic number plate recognition and multi-lane traffic flow (tailgating) monitoring systems—are becoming more prevalent. 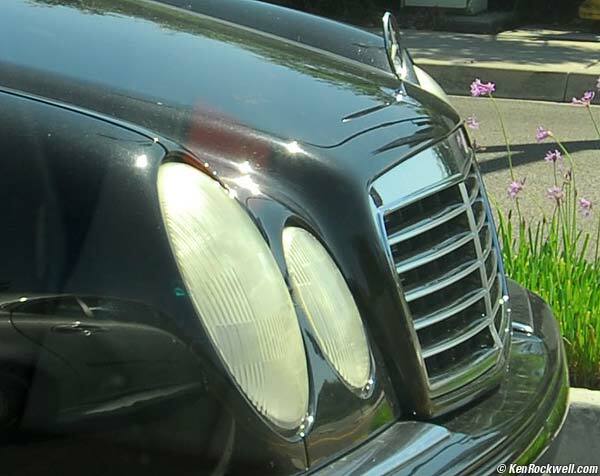 These systems, which initially relied on visible flash photography, had difficulty operating reliably at night and were a cause of distraction to other drivers when their bright flashes went off. Today’s newer and more sophisticated systems, however, employ digital IR (infrared) imaging and IR flash photography for surreptitious 24/7/365 operation. Veil G5.6 contains broadband IR materials which effectively absorbs police laser (lidar), absorbs scanning LIDAR, and absorbs IR light used by automatic number plate recognition (ALPR) systems and many photo enforcement systems, such as speed cameras and red light cameras. What are ALPR/ANPR systems and how does Veil help protect my privacy? Automatic license plate recognition (ALPR/ANPR) systems are other forms of mass-surveillance technology which continue to gain in popularity with law enforcement. If you have ever spotted a police vehicle with strange looking black boxes, mounted on the trunk or boot, you’ve likely been subjected to their use. These systems constantly scan license plates and are capable of performing instant-background checks of every vehicle’s registered owner. According to the ACLU these systems are being used to track and indefinitely store, in vast databases, the movements of millions of innocent motorists with little or no restrictions to protecting our privacy rights. Like redlight and speed camera photo enforcement, the trend continues towards the use of IR imaging and that’s actually good a thing if you are using Veil since the new patented formula makes your number plates more difficult to be identified. What are “intelligent traffic violation systems” and how can Veil enhance my privacy? 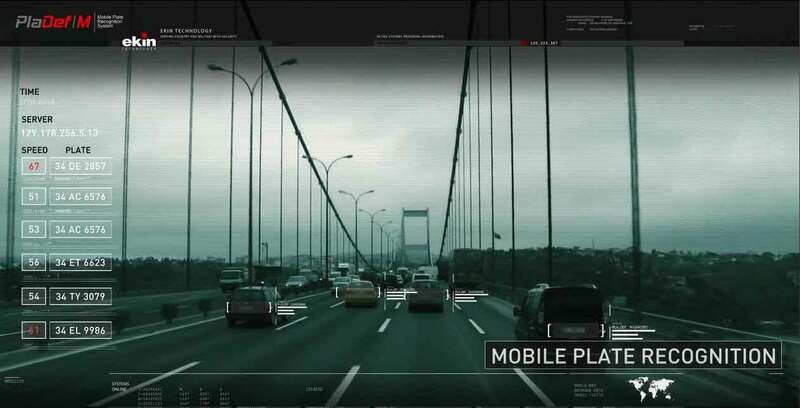 A company by the name of Ekin Technology has developed and is currently marketing a collection of mass surveillance systems which include network-connected fixed and mobile plate recognition systems—utilizing speed detection and automated photo-enforced ticket issuance (all without a traffic stop)—as well as vehicle tracking systems all using IR video imaging. These Orwellian police-state like systems are currently being tested by police in the town of Kissimmee, Florida. Fortunately, you can easily protect your privacy from these offensive systems by simply using Veil G5.6. What is “force multiplier” law enforcement and how can Veil protect my civil liberties? There are far more troubling aspects related to this technology. In fact, law enforcement refers to it as a game-changing force multiplier that has implications far beyond mere traffic enforcement. Like other systems that are touted as enhancing public safety, the price these systems are exacting on our individual civil liberties is exceedingly high, not to mention the significant amount of revenue that is being generated from their use. ELSAG North America has been selling a comprehensive ALPR-based system, called the MPH-900, to law enforcement agencies all-around the country and chances are you’ve probably already been surveilled by this system and not even know it. Each police vehicle that is equipped with the system has the ability to scan approximately 900-1800 plates per minute, using digital IR illumination, plate recognition software, always-on network communication, and (most troubling) a real-time cross-checking computer system that scans many databases including those which have nothing to do with your motor vehicle record. That last item listed above is especially troubling and suggests a lack of transparency by those charged with law-enforcement. When the MPH-900 finds a “hit,” it alerts the officer with an alarm in real-time while the vehicle being surveilled is in close proximity. These systems are also being used for the purposes of amassing huge amounts of information relating to travel patterns and places of gatherings (including gun shows and political rallies) of countless law-abiding citizens. This is tantamount to living in one globalized hidden police-state. What the literature fails to mention is that this technology is being using on the public roadways and parking lots—not exactly sensitive areas. It’s safe to assume that this technology will reach into other databases for the purposes of even more real-time background checking at an even greater wholesale level. Given the frequency of news reports of “computer hacking” that is taking place, it’s safe to assume our very sensitive personal data, will sooner or later be subject to unauthorized seizure by such hackers. That’s a very sobering thought. Perhaps there will be legal challenges to these over-reaching practices and the ACLU is currently reviewing its options. In the meantime, these systems are here now. Perhaps it’s safe to say that Philadelphia-based Ben Franklin—had he been living today—would be a Veil G5 Stealth Coating user. 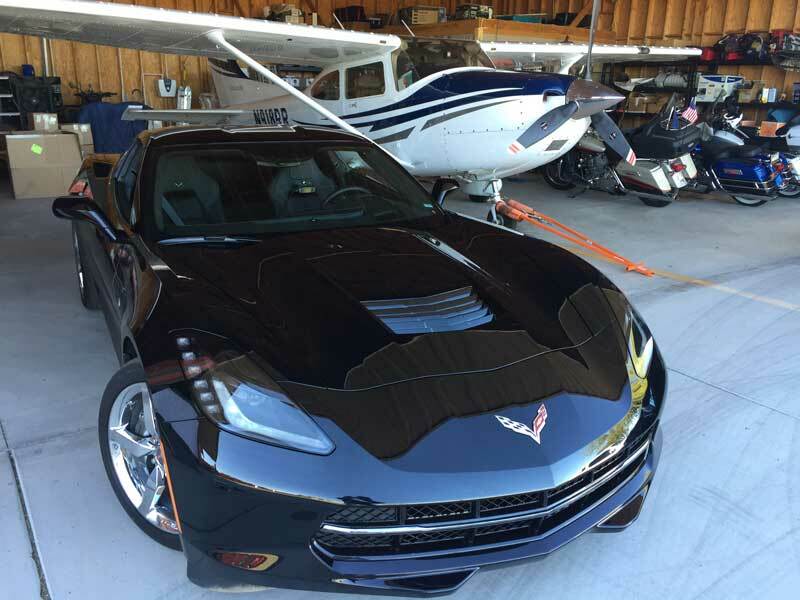 Should I use VEIL stealth coating with a radar detector/laser detector? For those interested in seeking maximum protection from police laser (LIDAR) traffic enforcement, it is recommended that you use a good performing radar/laser detector. Using VEIL you will have more reaction time to safely slow down and avoid a laser speeding ticket! What is scanning LIDAR, and why do I need Veil for protection from it? The latest variation of police laser, called scanning LIDAR, is becoming more commonplace and is potentially more lethal than even the most advanced police laser guns. Vitronic’s PoliScanspeed has been being deployed internationally for some time. The technology is heavily used throughout the Middle East including the Kingdom of Saudi Arabia (KSA) and the United Arab Emirates (UAE). It’s being deployed in parts of Australia and New Zealand and has garnered favor more recently in a number of northern and eastern European countries including Poland, Belarus, Estonia, Czech Republic, and Russia. Another recent addition to the international marketplace is JENOPTIK and its Robot TraffiStar S350. Both companies have recently established a presence in North America, so motorists need to be aware that this technology is now appearing here. Maryland’s state highway authority has already been using mobile forms of these mass surveillance photo-enforcement systems in construction zones such as those of I-95. 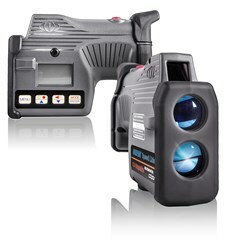 Unlike conventional police lidar, both the Vitronic PoliScanspeed and JENOPTIK Robot TraffiStar S350 use scanning lidar to quickly surveil multiple lanes at once and at close range with extremely tight vertical “lines” of IR laser (similar to barcode scanners). Scanning LIDAR utilizes contour detection to automatically classify and differentiate vehicle types such as trucks and passenger vehicles. This enables enforcement of different speed limits based upon vehicle class – even across different lanes in high traffic areas – as well as lane usage restrictions. They allow for accurate measurement of speed and following distances, and may be effectively used around sharp bends and cresting hills — something that has been difficult to achieve with conventional police lidar guns. Not only can these systems clock vehicle speeds, they can also identify tail-gaiters, track vehicles changing lanes, and monitor high-occupancy vehicle lane usage. Because PoliScanspeed and TraffiStar S350 lidar pulsed emissions scan many vehicles simultaneously and in only milliseconds, this makes it extremely difficult for most radar detectors to detect them. One radar detector that has done an exceptional job, however, is the Valentine 1. Because the technology is specifically designed to work at high cosine angles, and employs an IR laser-beam which is extremely thin, narrow, and “sweeping” at a rate that at any one location is not present long-enough, it can not be effectively countered actively with an active laser countermeasure (ie; jammer or parking sensor). Tickets are automatically issued using photo evidence of the vehicle’s license or number plate. The good news is that this technology plays right into Veil’s strengths. Does Veil work on motorcycles? In fact, Veil performs especially well with motorcycles! Because motorcycles already have the advantage of having a lower level of laser reflectivity (laser cross-section) as compared to an automobile or SUV, when Veil is used, the residual laser cross section (what is required to get a speed reading) becomes extremely little. We do recommend that riders wear dark clothing (leather, of course) and a dark helmet. We feel that if you own a bike, all you will likely need is Veil G5 and a decent radar detector. Do I need Veil if I already own a laser jammer? 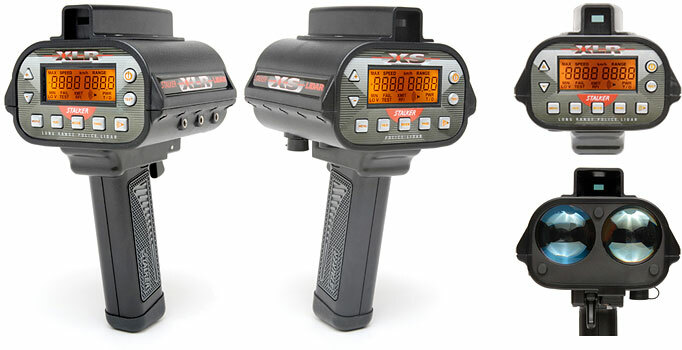 Some laser jammer companies and their owners have claimed that Veil is unnecessary if you already own a laser jammer, however the reality is that NO laser jammer, in fact, no countermeasure alone is infallible — especially against today’s latest “unjammable” police lasers that are increasingly becoming the preferred means for speed enforcement. Veil represents the next generation of countermeasure technology, called counter-detection, and should be used by every serious driver. How does Veil improve laser jamming performance? Even the most capable laser jammers are not infallible! For example, if either the jammer head-alignment or leveling is off even slightly, jamming efficiency can drop dramatically putting you at serious risk. When a laser jammer fails to perform, instant punch-throughs (IPTs) will occur and will occur at every distance — even very far away. Veil G5 improves laser jamming performance by further reducing your vehicle’s overall reflective laser signature (the military calls this “laser cross-section”). This makes it much easier for your laser jammer to work effectively. In fact, by using Veil G5, you may also be able to reduce the number of jamming heads you would otherwise require and still achieve superior performance. 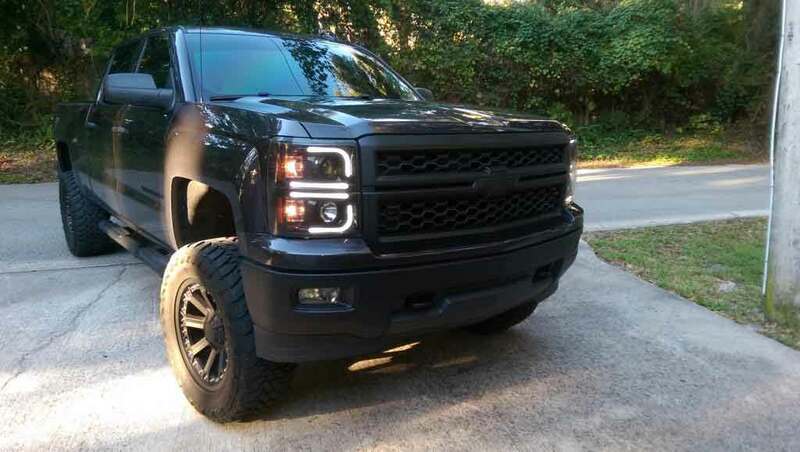 For example, instead of needing a three head system for the front, you may only require a two head or even a single head (above the center front plate area). In other words, you can actually get better protection for LESS MONEY and still achieve superior results with a defense in depth approach with Veil. Why take the chance of relying solely on a laser jammer that costs hundreds to even thousands of dollars? Get cheap additional by incorporating Veil into your countermeasure arsenal. 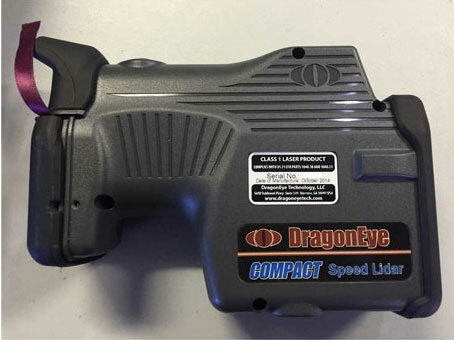 Ever since the first police laser gun from LTI made its appearance in the early 1990s, the technology has utilized fixed pulse-rate IR lasers. The reflections of these highly focused IR beam pulses are measured to calculate the speed of a vehicle being targeted. Laser jammers work by destructively interfering with those fixed pulses of light in such a manner as to prevent a speed reading. For example if a lidar gun fired at a fixed-pulse rate of 120PPS (pulses per second), a laser jammer would send its own pulses at a certain rate that was timed synched with the pulse rate it detected. Such systems employ algorithms to “predict” the appropriate time to transmit their pulses to throw the guns off and for more than a decade a number of models have been largely successful at doing so. As a consequence , laser jamming has grown world-wide. But technology used in this cat and mouse game has continued to evolve as well. Today, police laser guns are being manufactured specifically to defeat laser jammers and nearly all models are being rendered entirely ineffective as if one were driving without any countermeasure at all. When confronted by these types of police lasers, jammers won’t even alert to these new guns. The reason? LIDAR manufacturers are now designing their police lasers to employ either variable pulse rate (continuously changing) or random pulse rates (continuously changing without a clearly identifiable pattern) which make the jammer incapable of accurately predicting when to send their own destructive pulses. This has been presenting a serious hardship for the laser jammer manufacturers and the motorists who rely upon them for some time now. Whether or not laser jammer manufacturers will be able to defeat this new technology or not one thing is for sure, Veil will continue to be an effective defense against them. Veil is a stealth countermeasure that works on the principle of absorption. No matter what the pulse rates that are used against a driver, Veil will always absorb them. Furthermore, these new guns are very very good a detecting jamming attempts. Even the most capable jammers today consistently cause jam codes to appear on the laser guns alerting the officer to their use. What this means is even if you are successful at your jamming attempt, the officer will know that you were interfering with his or her ability to get a speed reading and my be subject to a stop on that basis alone. This is especially problematic for the motorist who is operating the jammer in an area that has outlawed or banned them. Currently there are a good number of states in the U.S. that have already done so as there are a good number of countries that have as well. Once again, Veil works to your advantage. Since Veil is not destructively and actively attempting to interfere with police laser, your vehicle will simply be harder to target than another unprotected vehicle and will appear that way to the targeting officer. This happens normally depending on its shape, color, and size. Darker black and pointier cars are harder to target than say a large metallic silver mini-van or SUV. However in any event, Veil G5 will not produce jam codes. You can read more about the specifics of these new lasers. Can Veil really outperform laser jammers? Most laser jammer companies don’t want to admit it, but the fact is that police laser gun manufacturers have begun taking active laser countermeasures very seriously for the last ten years and are succeeding more and more at defeating laser jammers. We touched on this in the preceding question and we will elaborate a bit further here. 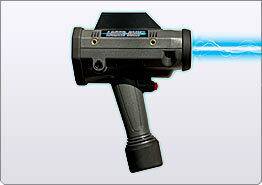 It is our understanding that a number of laser gun manufacturers employ staff dedicated to frequently purchasing laser jammers and parking sensors for the explicit purposes of studying them and developing firmware for their police laser guns (which traffic enforcement departments can themselves update easily) — this for the specific purpose of defeating the jammer’s own firmware. The newest lasers have the ability to record and store a jammer’s interference attempts (successful or not), the error codes generated, and this information may then later be used as evidence in court against the operator of a jammer, and also reviewed by their manufacturers with the expressed intent of defeating new jammers or jamming algorithms that appear as software updates. The traffic enforcement departments using these guns are actually being trained to send those guns back to the manufacturer for analysis and frequent firmware updating. This is a new dynamic that we motorists face today. Even more disconcerting is that the latest generation of police laser guns is incorporating variable pulse-rate and random pulse-rate algorithms that no longer can be defeated by jammers simply using static look-up tables (a technology that is quickly becoming obsolete). Consequently, if confronted by one of these new police lasers, jammers that rely solely on static look-up tables are basically rendered useless. Not only don’t they jam, they don’t alert! The result is that a speed reading will be obtained instantly by the officer regardless of your distance. This is referred to as “instant-punch through” or IPT, and for that reason, we recommend that you always use a radar detector that has exceptional laser sensitivity in conjunction of course, with Veil G5 resulting in a defense-in-depth or multi-tiered layer of protection. In an increasing number of states and countries, laser jammers are being outlawed. It is our understanding that in Texas, for example, if you are caught with one, it is considered a misdemeanor — an “offense” that is more serious than a summary traffic violation. So there is an increasing risk versus reward for their use in such regions. As touched upon earlier, what makes it even more dicey is the fact that laser jammers are more producing jam codes on a more regular basis. Jammer manufacturers have not been very successful at remedying this. What that means is that even if you shut them off, the officer will already know you were using them. Fortunately, since Veil G5 works on a principle entirely different than that of active laser jamming, it doesn’t produce jam codes. To the officer, it will simply appear that your vehicle is more difficult to target — something which actually can occur normally anyway as each vehicle has different amounts of reflectivity. As a result, you should be much less conspicuous. Veil not only absorbs IR but it also absorbs portions of solar UV. Long-term UV light exposure coupled with oxidation often causes the breakdown of the matrix of newer composite plastic headlight housings resulting in the unsightly yellowing, pitting, and clouding of headlights that you will routinely see with vehicles. When Veil is applied to your headlights, a hardy protective IR, UV, and oxidation barrier is created which will significantly slow this deterioration process. Think of Veil as sunscreen for your vehicle. VEIL is a police laser and infrared (light) photo enforcement countermeasure. Traffic enforcement radar works on an entirely different principle. That being said, Veil can be an effective defense to photo radar systems employing IR photography by obscuring your license plate from being identified.